For whatever reason, certain areas of our city seem to be more endowed with barbecue restaurants than others. For instance, in North Nashville on Clarksville Pike, there are no less than five barbecue restaurants within a mile of each other, while Bellevue's lone barbecue outpost (the excellent Pig & Pie) is only open Thursday thru Saturday. Clarksville has more than a dozen barbecue restaurants; Murfreesboro has but a handful. Sumner County, which lies to the northeast of Nashville, has tradionally fallen into the category of underserved. But with two rapidly growing cities like Hendersonville and Gallatin, it's only a matter of time until the pork purveyors start popping up. 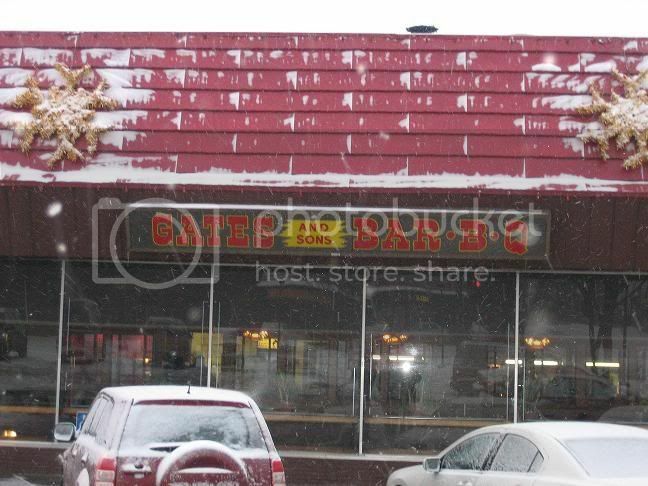 One such relatively recent entrant is Buffalo P's BBQ, Chicken, Catfish & Everything in Gallatin. One heck of a name, huh? They're really leaving their options open with the "everything," but after a quick scan of the menu and a look around the premises, I'd say it's safe to simply label Buffalo P's a barbecue restaurant. Well...maybe a barbecue trailor. The Buffalo P's operation is set up in a vacant parking lot on Red River Road, just over the railroad tracks from Main Street, across from the Co-Op. They have a trailor for preparing and serving the food, a small awning covering a limited amount of seating, and two smokers. I always love it when I see real, actual smokers at barbecue restaurants. It's instant barbecue street cred. It tells me that these guys didn't learn to cook barbecue in a some dang kitchen. It appeared most of the work was being done on the smoker behind the trailor. Buffalo P's menu contains the usual barbecue suspects - pulled pork, brisket, smoked chicken and ribs. And yes, they do also serve catfish (fried, not smoked). I went with the pulled pork plate. 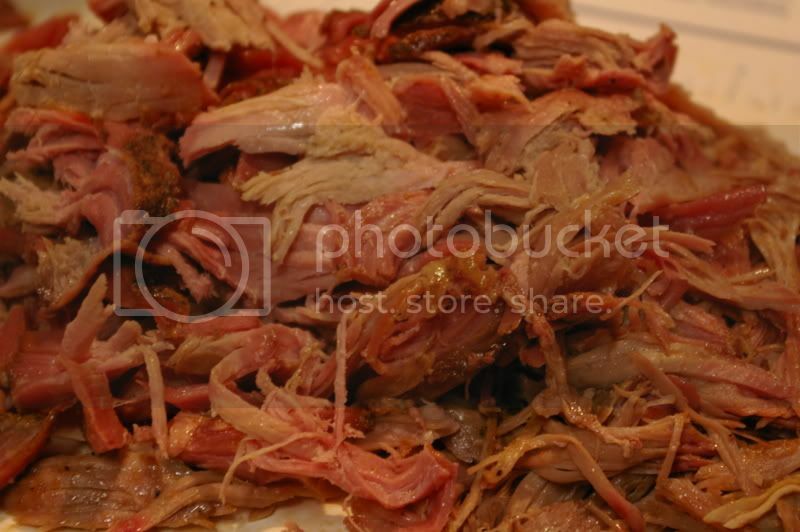 Pulled pork is my go-to, unless I've been specifically advised to try something else. Why? First of all, I like it the best. Second, this is Tennessee - if you can't get your pork right, you're not going to last very long. It's the litmus test. On the side, I went with that classic hot and cold duo - baked beans and potato salad. As you can see, the pork came pre-sauced. I'm not a fan of pre-sauced. I prefer to enjoy the pork au naturel and then if/when it needs sauce, I'll be in charge of the application. In this case, sauce was indeed needed. Although the meat had a very distinct smoky flavor, I found it to be rather dry. Perhaps it wasn't as fresh as usual, or perhaps it was just an off day, but overall I would rate the pork as average. The sides were solid, if not spectacular. All in all, I was underwhelmed. For those of you who have been to Buffalo P's, let me know what you think. I don't know how long this site has been out there, but I just came across The Pickled Pig's website. 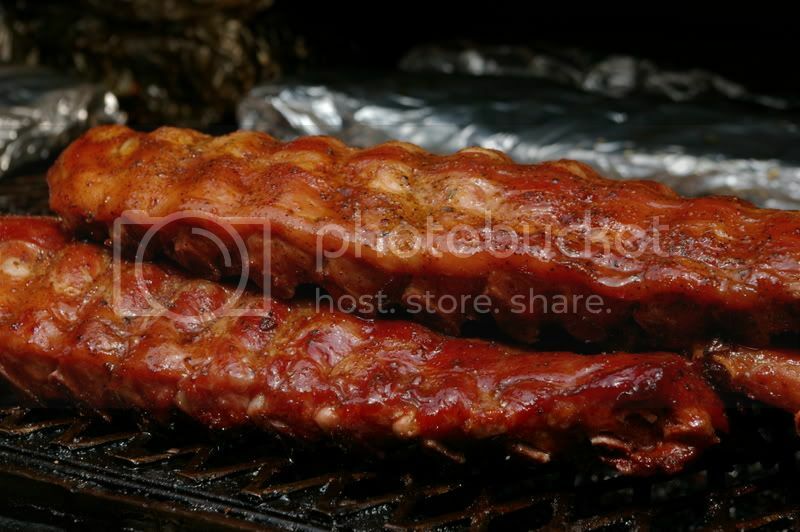 This site is the official site of The Pickled Pig's competition bbq team from Overland Park, KS. At first glance this site looks like most other bbq team websites. However, there is a little section on this site that sets it apart: The BBQ Power Rankings. This site absolutely blows away the official KCBS website, and the KCBS or MMA should hire the person that created and maintains this website. The ability to find information about contest results is fabulous. It also allows the amateur KCBS team to see how they stack up against the big boys. Rod Grey of Pellet Envy is one of the greatest bbq cooks in the country. So check out his blog to pick up a secret or two, or just take his class and find out all the secrets. I feel honored that Rod credited me as an inspiration for his blog. Good luck to Pellet Envy in the 2008 BBQ Season. I was watching BBQ with Bobby Flay (I could rant on this show being called BBQ and how I lost all respect for Bobby Flay, but that is another blog for another day), and I saw a rather unusual segment. Apparently the Spa at the Rosewood Crescent Hotel in Dallas Texas offers a BBQ Wrap spa treatment. This treatment includes a brush down in bbq sauce, and then a wrapping in a thick heating blanket. So if you have ever wondered what a pig feels like, just swing over to the Crescent Spa. They will literally cook you in sauce, and then feed you some chicken that is covered in the leftover sauce. In the episode, the gal promoting this treatment said that women from New York City enjoy this treatment, because they want to get a true Texas experience. Saying that a BBQ Spa Wrap is a true Texas experience is like saying eating brisket tacos at the Austin airport is true Texas BBQ. Anne Melby, the Crescent's spa director, says that their wrap "exfoliates and smoothes dry skin, stimulates circulation and helps rid the body of toxins. And it smells fabulous — you just want to eat it." The BBQ Wrap is not on the regular spa menu, but just ask for the "special bbq treatment" for an experience of a lifetime. As much as I love hamburgers (and I do love them a lot), I am more often than not disappointed by the hamburgers that I find in restaurants here in Nashville. Even some of the well-known places that win "best burger" year after year have left me thinking that I could do better at home with a charcoal grill or a cast iron skillet. Well, lately a couple of new players have appeared on the local burger scene, and I thought I'd let you know what I think. Red Robin is a national chain, with locations from coast to coast. It originated as a local tavern in Seattle in the 1940s, but didn't begin expanding outside the Seattle area until the 80s. It's a full-service, sit-down restaurant, and it also has a full bar. 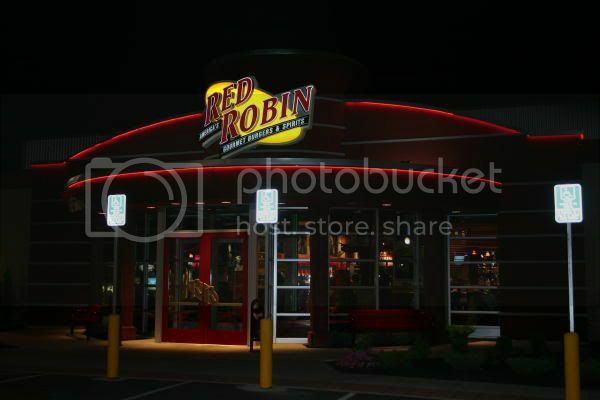 Red Robin is relatively new to Middle Tennessee - they opened in Murfreesboro and Mt. Juliet a few months ago, and have just recently opened their first Nashville location in the new Nashville West shopping center on Charlotte Pike. The menu at Red Robin is expansive. Their schtick is offering lots and lots of different burgers with every topping combination imaginable. There's the Bonzai Burger, marinated in teriyaki and topped with grilled pineapple and cheddar cheese. Or the Santa Fe Burger, topped with poblano peppers, guacamole, crispy tortilla strips and pepper jack cheese. Or the Five Alarm Burger, topped with pepper jack cheese, jalapeno peppers, salsa and chipotle mayonnaise. You get the picture. 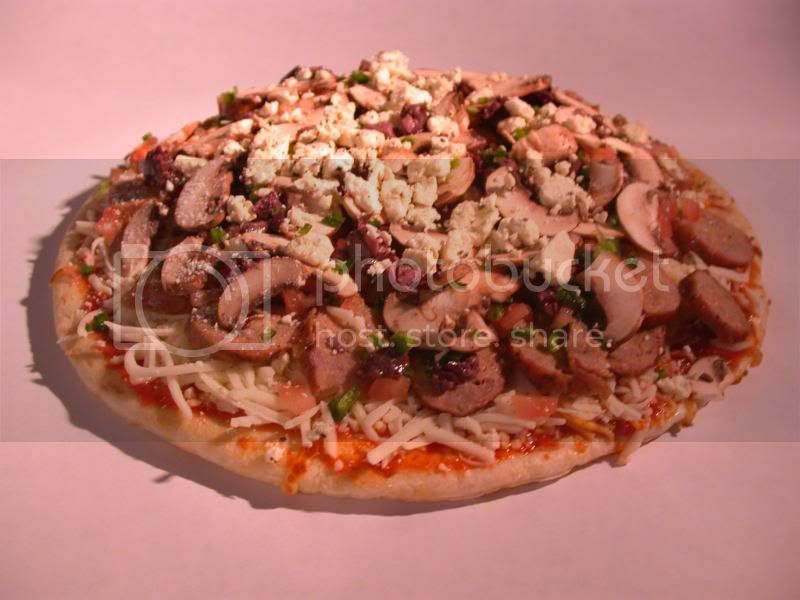 Of course there's also the option to "build your own" from the endless list of toppings and condiments. After visiting the restaurant a few times and trying a few of the readymade burgers, I settled on a modified version of the "Gourmet Cheeseburger," with American cheese, crispy onion straws, red relish and mayo. Now that's a tasty burger. The only thing is, I think maybe why it's so tasty is because I've come upon a really incredible combination of toppings. And I think, when it comes down to it, that's the appeal of Red Robin - toppings. The burger patties themselves are not very flavorful. But with 101 variations to choose from, you're bound to find something that will make it flavorful. One other note - bottomless french fries. They do have unlimited french fries at Red Robin. Unfortunately, they are steak fries, which are not my preference. But they do have this incredible seasoning on the table for the fries that is pretty interesting. Five Guys is different from Red Robin in almost every way. It began on the east coast (Washington DC area) in the 80s and began franchising in the eastern U.S. in 2003. It's a fast casual setup and there are peanuts on the floor. 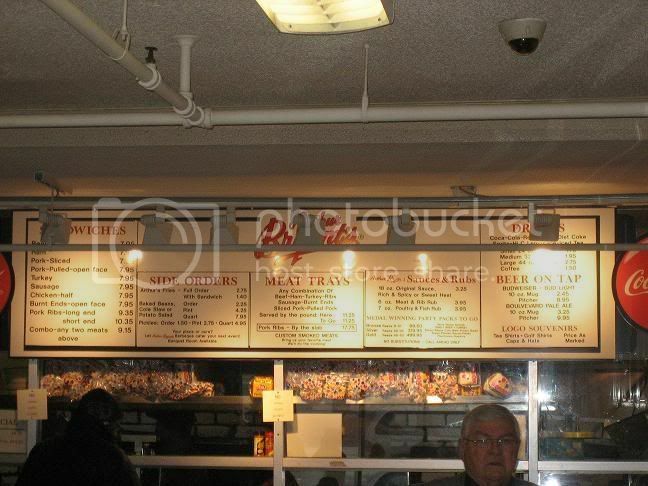 The menu is ridiculously simple - burgers, hot dogs, and fries - all cooked to order. Fresh is really best word I can use to describe the food. 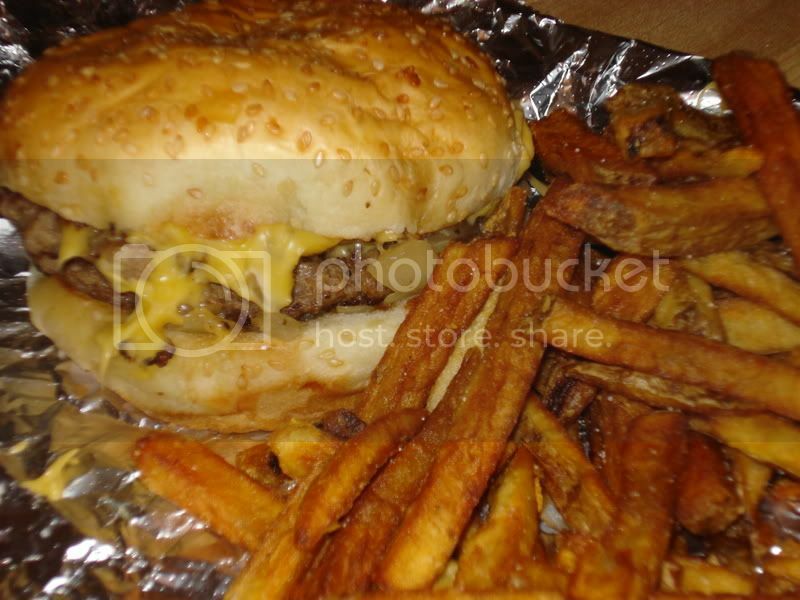 The burgers are juicy and the flavor of the beef, seasoned perfectly, really shines through. This is the closest I have tasted to a homemade burger in a restaurant. The burger-to-bun ratio is just right, and although I usually prefer a plain bun to one with sesame seeds, this bun is awesome, with just the right density and moistness. Although there are plenty of toppings to choose from, I usually get mine with just cheese and grilled onions - I think it complements the flavor of the beef just perfectly. Again, I should also mention the fries. These are some of the best fries I've ever had! They're cut fresh daily and twice fried with the skins left on. The seasoning is perfect. This is what french fries were meant to be. 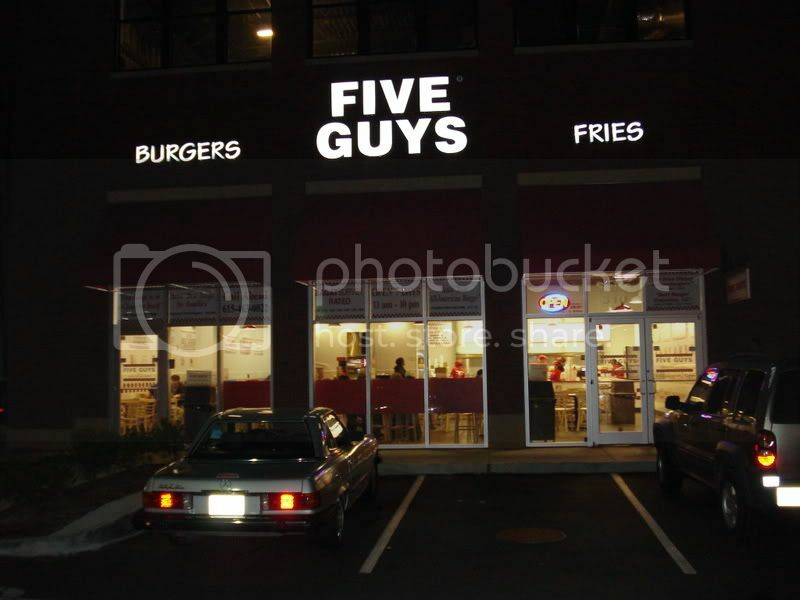 If I have one beef with Five Guys, it might be the service. I have been to the Green Hills location a few times now, and have seen a noticable decline in courtesy and attentiveness of the employees there. Hopefully the management can nip this trend in the bud so it does not ruin what is an otherwise great restaurant. Today I received the entry form for High on the Hog in Winchester, TN. This is the sign that the competition season is truly upon us. In the coming weeks team Ulika will be having a full on practice. This year will be completely different for us with our new cookers. As it stands right now, I plan on cooking my ribs, butts, and brisket on the Stumps (which by the way should be here any day now). 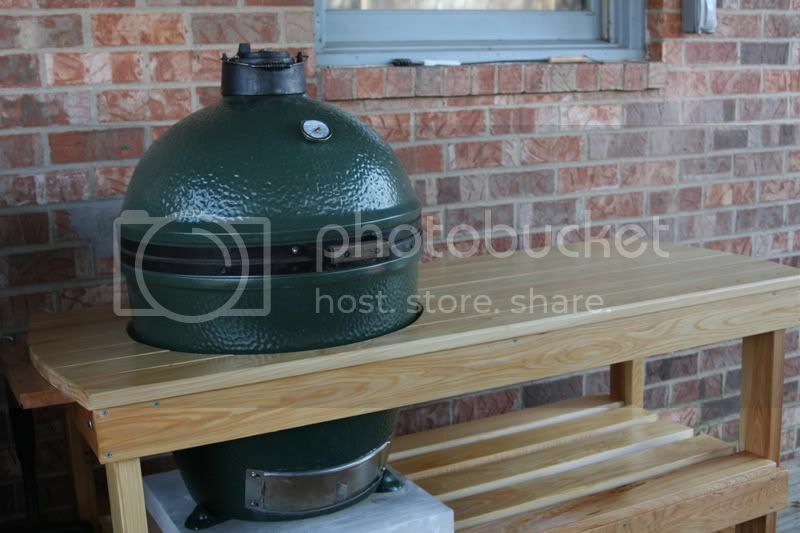 For my competition chicken I am planning on using the Big Green Egg. I will be posting pictures from the practice once it is complete. Just don't expect to get any competition secrets out of me. 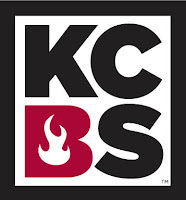 On Saturday night, the KCBS held their annual banquet at the Sheraton Sports Complex in Kansas City. While I did not attend the event, I can only imagine the sounds of Platinum Express strumming Mustang Sally as the crowd of cooks and other bbq enthusiasts sang along. At this banquet, the KCBS Board of Directors Election results were announced as were the Team of the Year Results (T.O.Y) in each category as well as the overall team of the year. Congratulations to Tuffy Stone of Cool Smoke for being named KCBS T.O.Y. I have been fortunate enough to eat errrrr devourer both Pellet Envy and Smokin Triggers ribs. In case you were wondering, Team Ulika finished with 9 points in the pork catagory. Sure it is noting to beat our chest about, but we did beat out some teams that competed in 3 to 4 times as many contest as we did. The reality is, if you don't compete in at least 15-20 contests, it is hard to really make a splash in the T.O.Y standings. This year the KCBS has instituted a new T.O.Y Points System. It will be interesting to see how this system will affect the standings. Congratulations to Rod Gray who received 42.33% of the votes. We just found out that the newest Ulika Team member will be a boy. 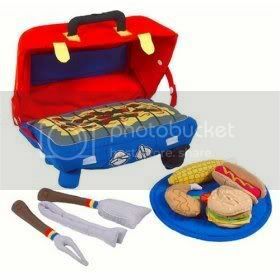 It makes the My First BBQ Set much more appropriate. There are also a few other toys that will be purchased over time. One of my wife's favorite things is sliders, or as I call them Krystals. I won't get into how Krystal is better than White Castle, because frankly I don't have to. It is an understood fact that Krystal is better and I have argued the point until I was blue in the face countless times before. I digress. To make your own sliders, start with roughly 1 lb. of ground chuck. I always use ground chuck for making burgers because you can't create a juicy burger without some fat. Next, make little balls of hamburger meat (slightly smaller than a golf ball). I happened to have my scale out when I was patting out these burgers, and each one weighted around 1.75 ounces. It is important to have consistent raw patty sizes so that you have even cook times. 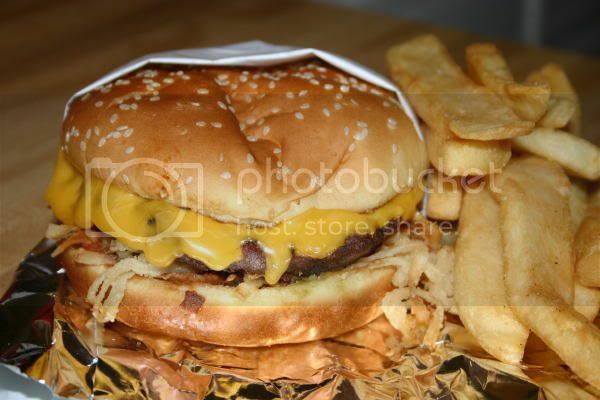 You don't want one burger that is way over cooked and one that is raw inside. Once you have your raw meat, don't stop there, press out each patty into a 2-inch square and place the squares on a sheet of parchment paper. Season the patties lightly with salt and pepper. 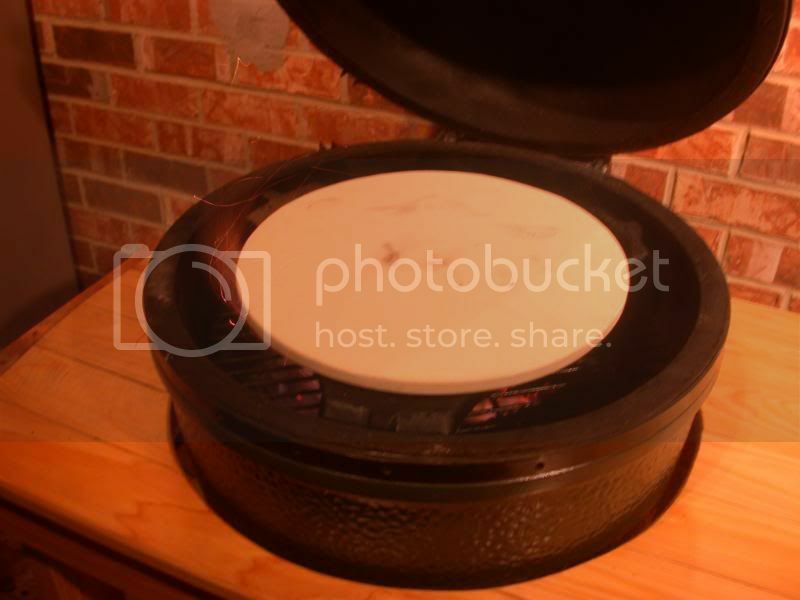 You can cook your sliders on either a stove top griddle or on a grill. Either way, you'll want to cook the burgers at a high temperature. 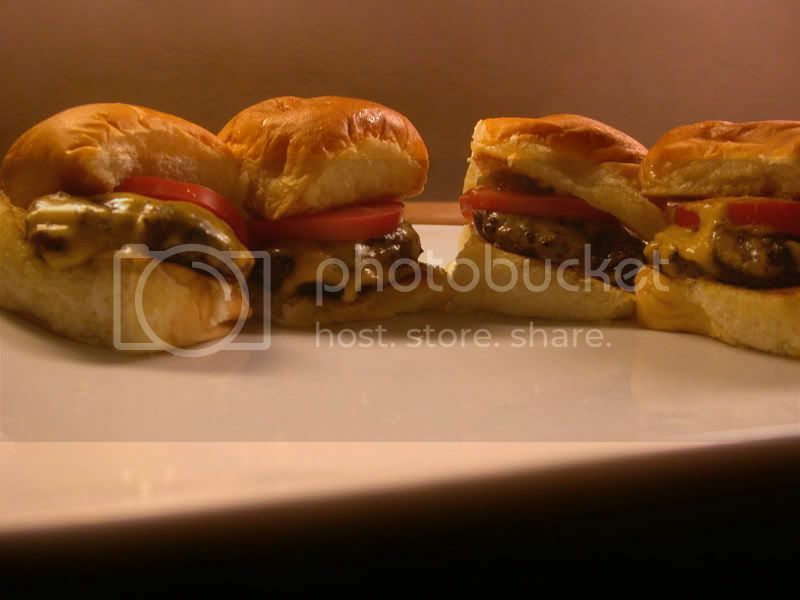 Sliders are actually one of the only foods that I cook without taking an internal temperature. Cook the burgers just 2 minutes on each side on a hot grill and they'll turn out great. This is also one of the only foods that I cook on my gas grill anymore. I must admit before I became an egghead, I was pretty loyal to my gas grill. I have a nice DCS stainless steel grill piped into my natural gas line - but it keeps its cover on most of the times these days. 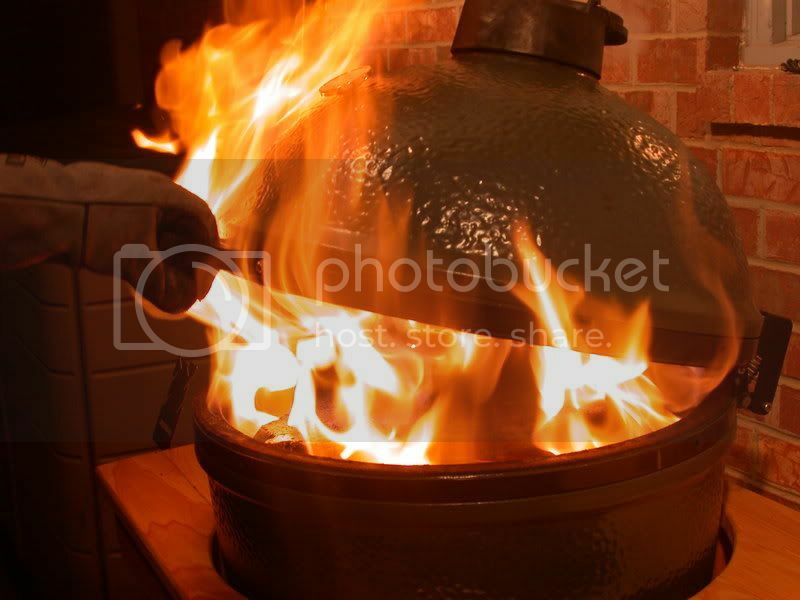 I always thought that it was such a pain and a big mess to fire up the Weber kettle whenever I wanted to grill something, but with the Egg, the lump charcoal creates less ash (and it can be put out and reused). Back to the sliders...to finish off the perfect slider, use Hawaiian Rolls (lightly toasted with butter) for buns, then add your favorite condiments. 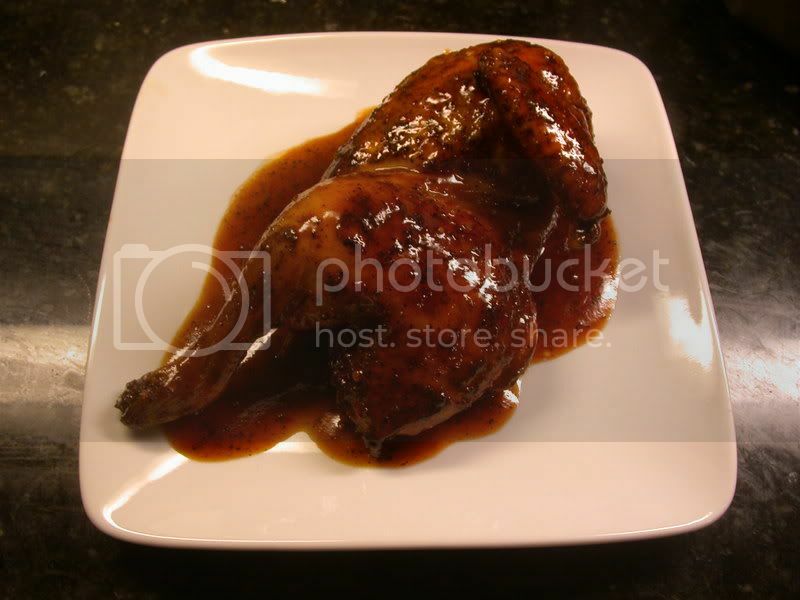 This is a picture of a half chicken covered in my new favorite sauce combination. All I do for the sauce is mix 1 part Blues Hog Original and 1 part Blues Hog Tennessee Red Sauce. Blues Hog Original is sweet and thick while the Tennessee Red Sauce is more vinegary with a little heat. I have used this sauce on pork and chicken, and found that it compliments my chicken very well. The Tennessee Red also makes a great wing sauce. Thanks to the in-laws, I now have a new BGE Table (with Wheels!). Now all the Ulika Kitchen is missing is the Elite 7 (scheduled to be delivered Jan. 23rd). Thanks to Dawson for the custom piece of limestone to place between the egg and the table. Dawson is a Ulika team member as well as a stone carver. Check out his web site here. 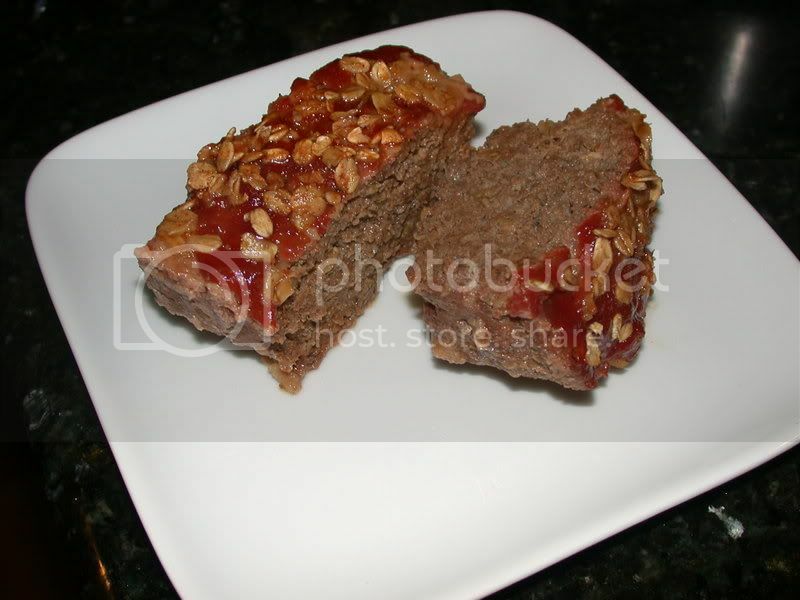 That's right, you think that you've had it all until you try smoked meatloaf. Mix all of your ingredients together in a large bowl and pat the mixture into a loaf pan. 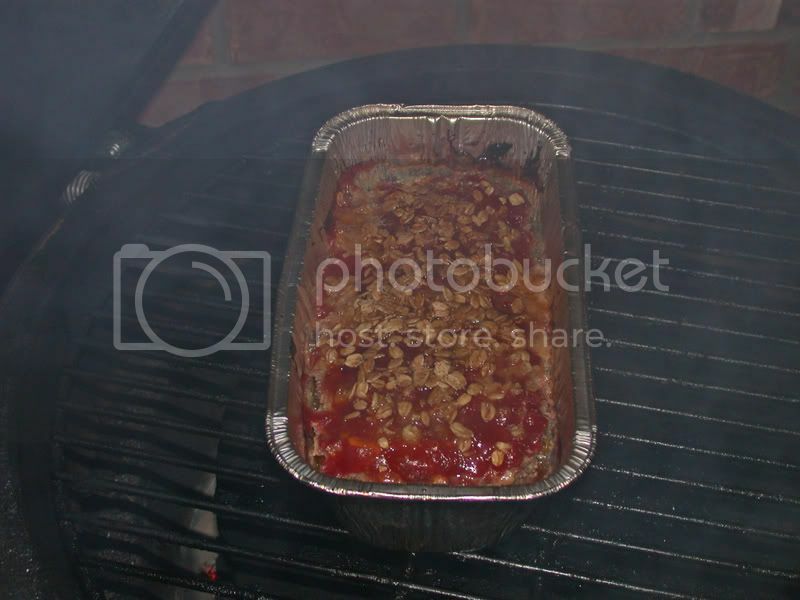 Top with brown sugar, ketchup and sprinkled oats. 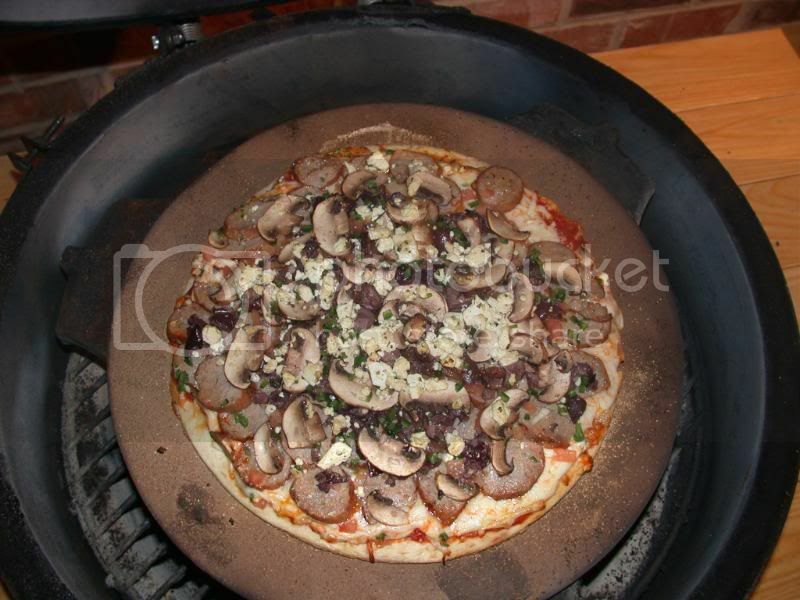 Set your BBQ Guru to 400º and smoke the loaf until the internal temp. is right (45 minutes to an hour). The table that was scheduled to be delivered before Christmas has finally arrived. I put the first coat of polyurethane on the table, and I will be adding two more coats. 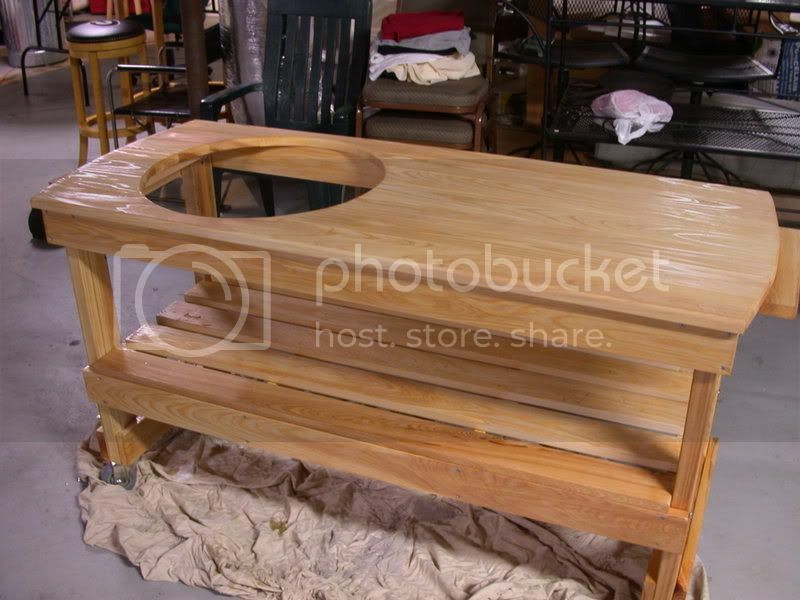 After that, the table will be ready for action. I will post pictures as I progress through the process. 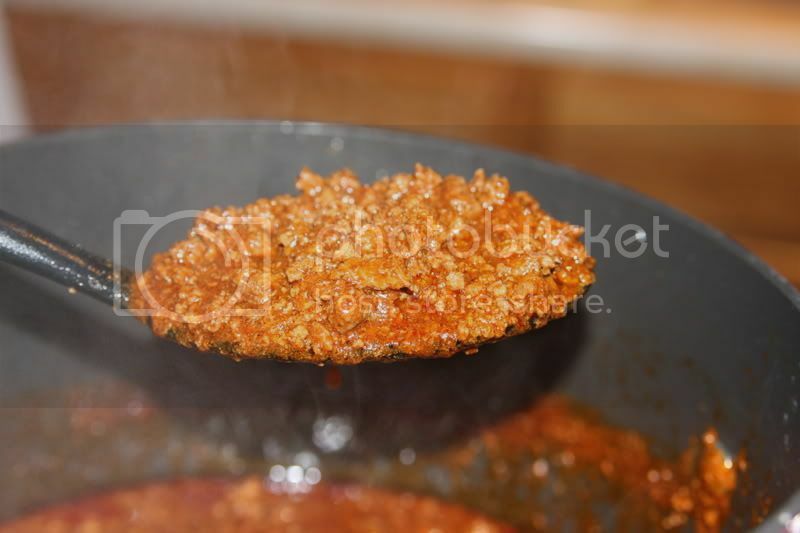 The Ulika Food Blog can now be accessed by typing in www.ulikafoodblog.com or www.ulikafoodblog.blogspot.com - making it even easier to tell your friends and family how to find the Ulika Food Blog. What do you do with leftover smoked turkey? Make turkey dumplins. 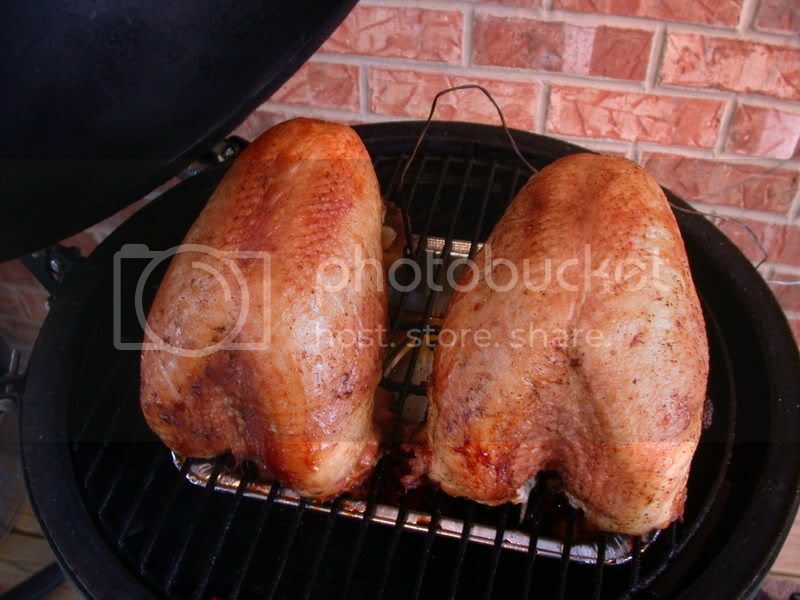 When smoking the turkey on your Big Green Egg, be sure to save the turkey "carcass" to make your soup stock. First, you'll make your stock with the turkey carcass. Place the leftover bones, attached meat and skins in a large pot and cover it all with cool water. Season the water with salt and pepper along with a little seasoned salt and your favorite complementary rub. If you wish, you can add your favorite vegetables here too for flavor - celery, carrots, onion and such. Bring the stock to a boil, then reduce the heat to medium low and add a few pats of butter. Let the liquid simmer for at least one and a half hours - three or four is even better - then remove the bones and skins and strain the stock. Next, add your leftover smoked turkey meat in torn chunks along with another few pats of butter and little more salt and pepper. Let the stock return to a boil. Last, make your dumplins. You can use your favorite drop dumplins recipe here - buttermilk, shortening and flour, bisquick and whole milk - your choice. Drop your dumplins by the spoonful over the boiling stock. 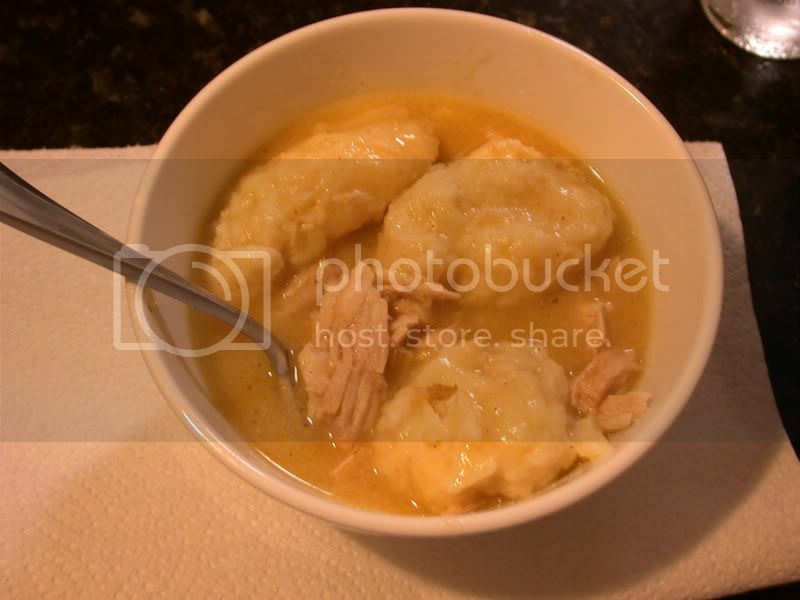 Boil the dumplins for ten minutes with the top off, then ten minutes with the top on. Kansas City is one of those locales, along with places like North Carolina, Memphis and Central Texas, that is inextricably linked with the cuisine of barbecue. 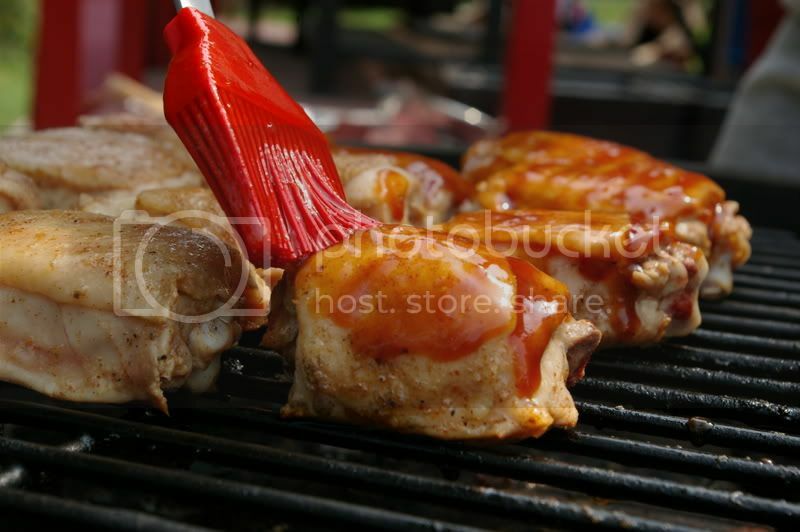 The best-selling barbecue sauce in the world is K.C. Masterpiece. The premier sanctioning organization of barbecue contests today is the K.C.B.S. You get the point. So it's no surprise that there is no shortage of great barbecue joints in the Kansas City area. A couple of weeks ago, I had the opportunity to visit two of the most famous. I had been to K.C. before, but my barbecue experience was limited to a trip to Fiorella's Jack Stack. And while the Stack did not disappoint, on my return trip I wanted to get down to the roots of Kansas City barbecue. And a quick check of the history books will tell you that the roots of K.C. 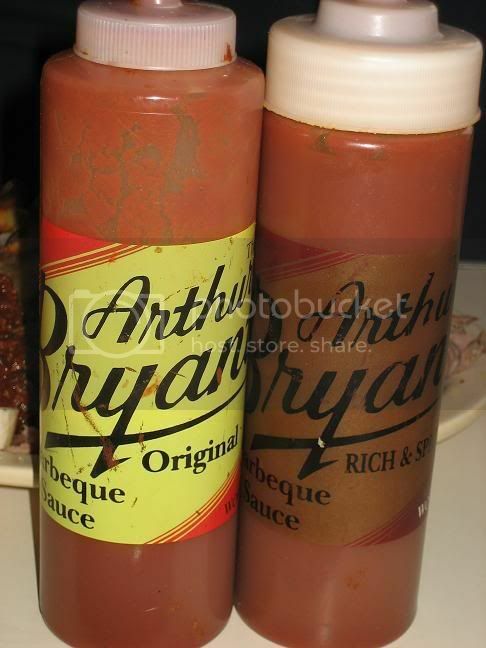 barbecue begin and end with Arthur Bryant's and Gates. Both restaurants can be traced back to a man named Henry Perry, who learned the art of smoking meat while growing up in Memphis around the turn of the century. 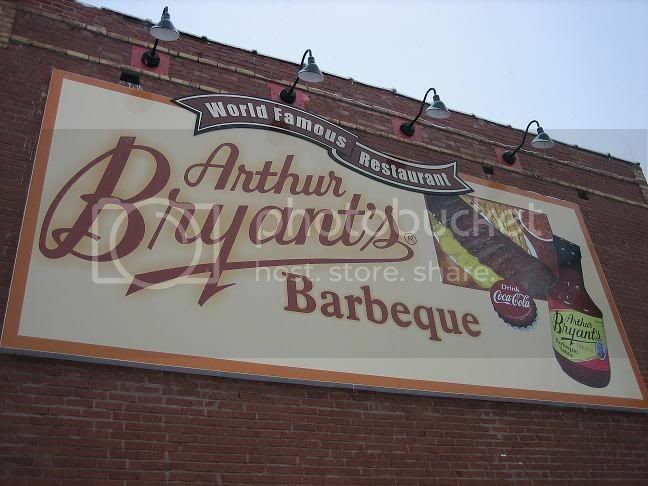 When he moved to Kansas City in 1907, he opened the restaurant which would eventually be sold to and named for one of his understudies named Arthur Bryant. Literally right down the street, another of Perry's understudies joined with George Gates in 1947 to open Gates & Sons Bar-B-Q. Both restaurants still stand today, approximately 1/4 mile apart, on Brooklyn Avenue, just east of downtown Kansas City, Missouri. My travelling companions and I arrived in a furious snowstorm and were ready to eat. We got the rental car, entered 1727 Brooklyn Ave into the Hertz NeverLost, and arrived at Arthur Bryant's in about 25 minutes. You've doubtless already heard this pearl of wisdom before, but it bears repeating - you know you're at a great barbecue restaurant when you smell the smoke as soon as you get out of the car. Bryant's was no exception. We stepped in from the cold and found a sizable crowd, even at 3:30 in the afternoon. And now I'll give you a little bit of bonus wisdom - never trust a barbecue restaurant that doesn't have barbecue sauce out on the tables. Again, Bryant's passed the test. And now, on to the food. You may notice that on the menu, there is no brisket. That's because they just call it "beef." And if, like me, you're from pork barbecue country, you may also be wondering what the heck "burnt ends" are. They are kind of the leftover parts from a brisket. I'm definitely game for that, because leftover parts are sometimes the best part! 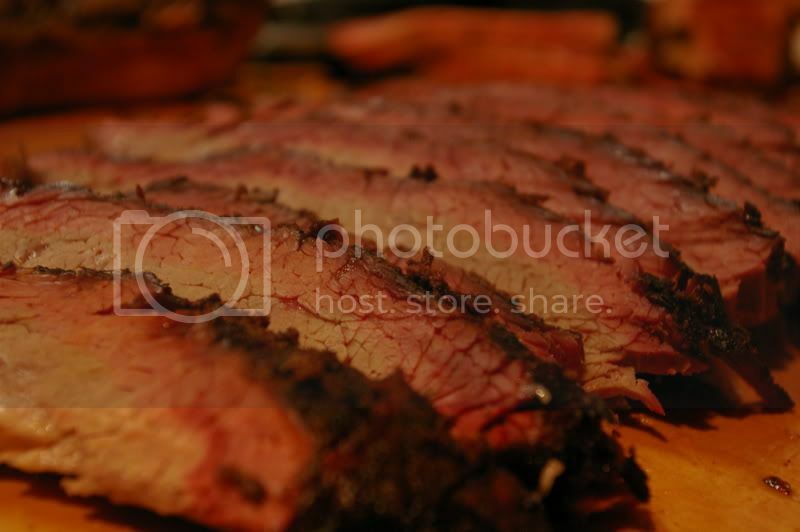 In the photo below, the burnt ends are on the left and the brisket is on the right. I guess I was a little surprised to see that the burnt ends came pre-sauced. And as you can see, the pre-saucing was substantial. 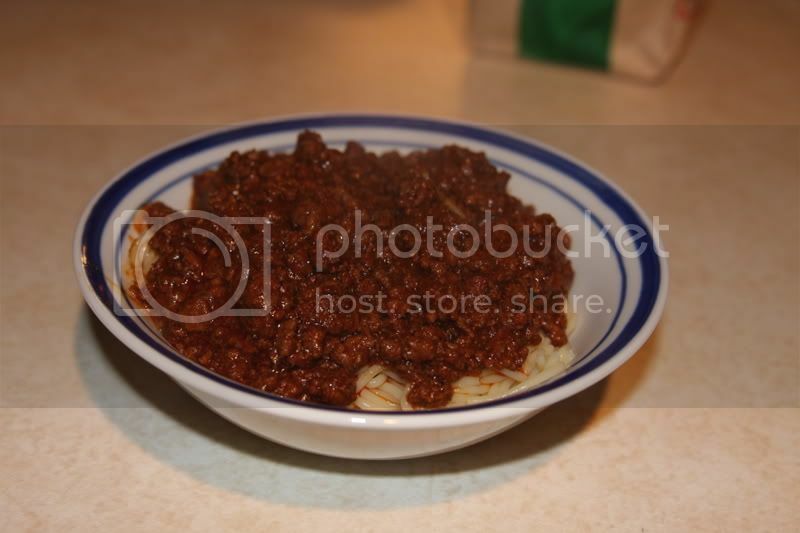 Consequently, I couldn't taste much but the sauce. I was much more impressed with the brisket. 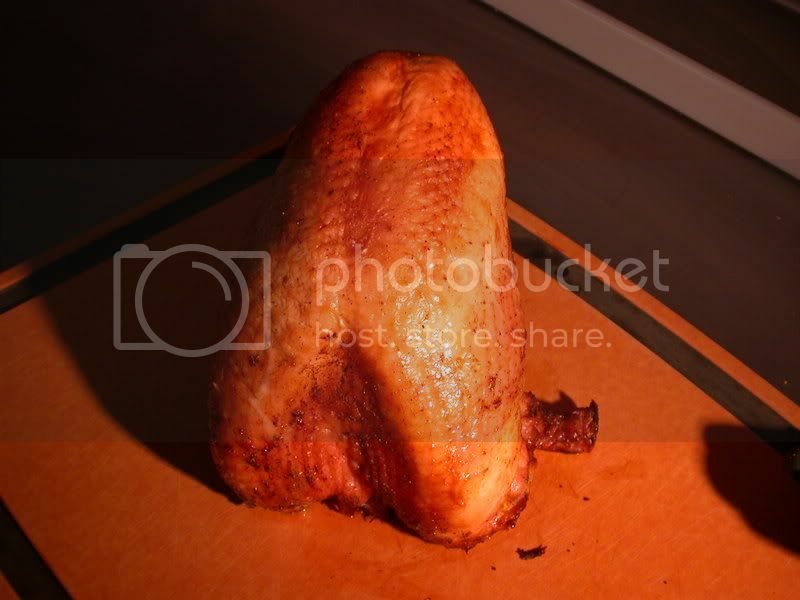 It was very, very tender and juicy, and with good flavor. It was quite simply the best brisket I have had in a restaurant. No sauce was even necessary, which was a good thing, because I was not so impressed with Arthur Bryant's sauce, especially the "original" version, which was too much vinegar and not enough sweetness for my taste. 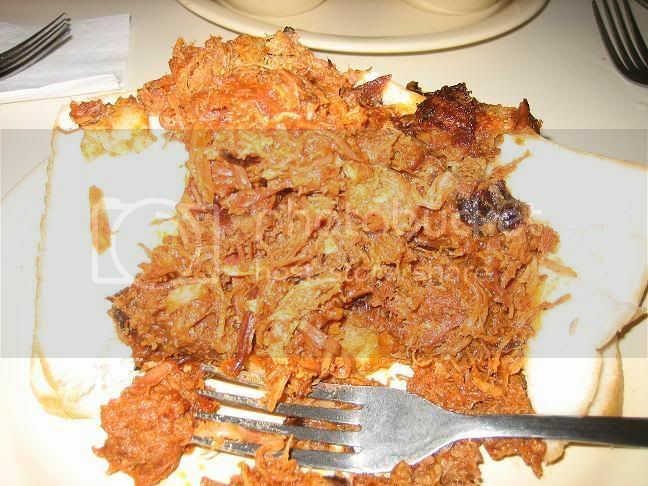 The other item that we tried was the pulled pork. The pork was a bit confounding. Like the burnt ends, it was served with a liberal amount of sauce already applied. Again, as a result, the flavor of the sauce dominated. And it's a shame, because the pork was very tender and actually seemed to have a good flavor under all of that sauce. Knowing we had a second dose coming, we tried our best to restrain ourselves, and headed down the street to Gates & Sons. I had an immediate fondness for Gates because the color scheme was similar to another place that I love. Gates even has a signature order-taking phrase that appears on all of their materials - "Hi, May I Help You?" 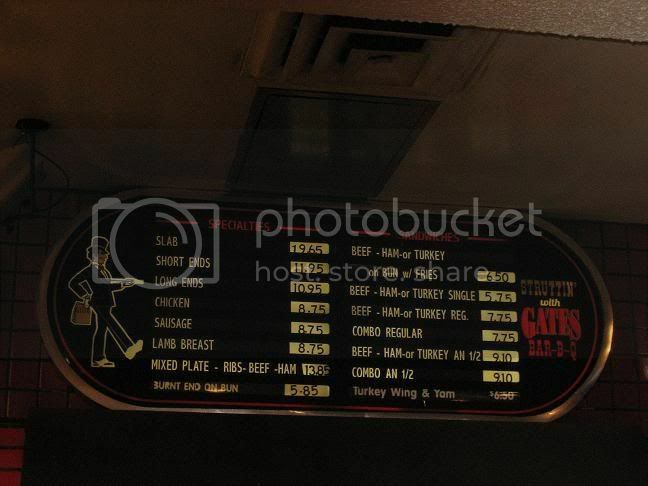 - kind of a whitewashed yankee version of "What'll Ya Have?" - I love it. Like at Bryant's, the brisket is simply referred to as "beef." 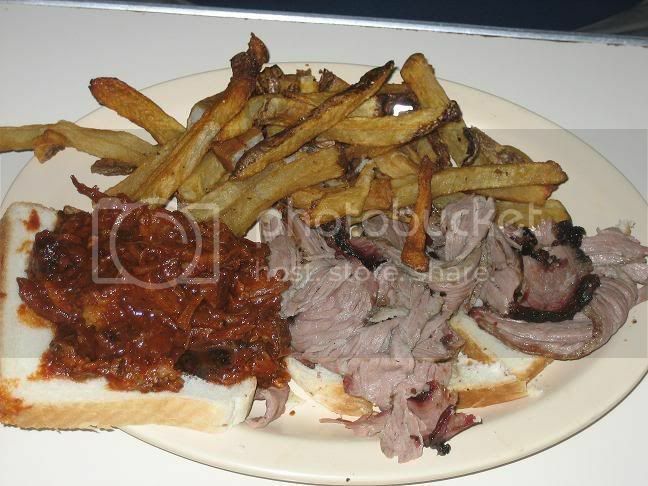 I ordered a beef sandwich and an order of Bar-B-Q Beans. 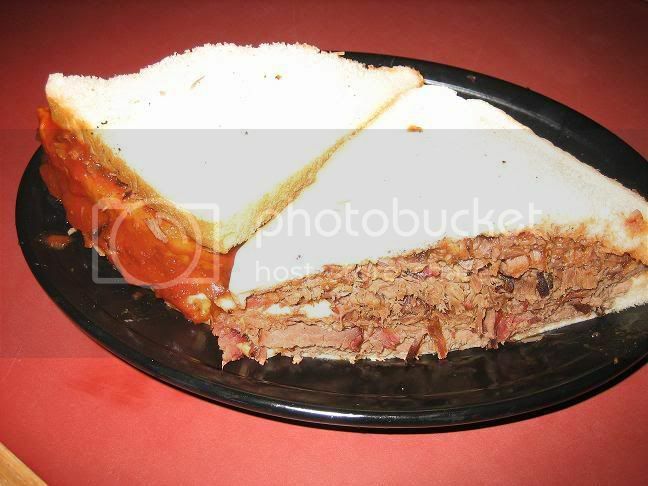 The beef sandwich is simply a large serving of brisket between two slices of white bread, with a bit of sauce. The brisket was not as moist, nor as flavorful as the brisket at Arthur Bryant's. But in this case, all manner of ills are cured by Gates' barbecue sauce, which I thought complemented the sandwich perfectly. It's kind of a strange barbecue sauce - not too sweet and more than a little spicy, but not too vinegar-y either. I ate a lot of it on this sandwich. 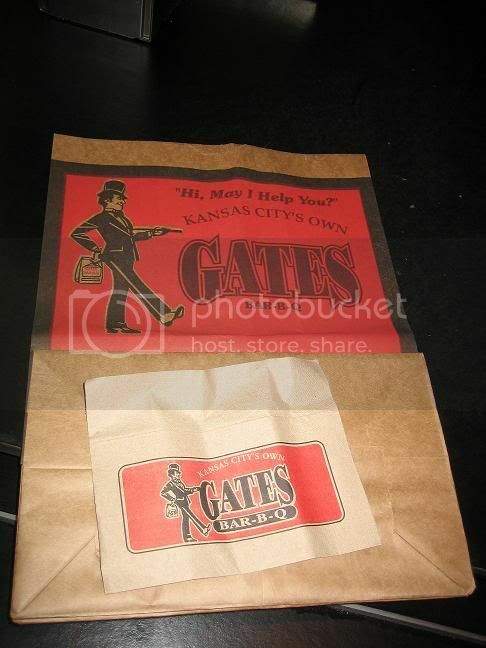 The real highlight of our visit to Gates - heck, I'll just say it...of our visit to Kansas City - was the Gates Bar-B-Q beans. It's hard for me to accurately describe how good these baked beans were. Best baked beans ever. They were sweet, as baked beans should be, but not too spicy. There was not any actual barbecue in them that I could discern. But there was a certain flavor in the mix that I just could not put my finger on. Was it caramel? Molasses? Whatever it was, it was working. 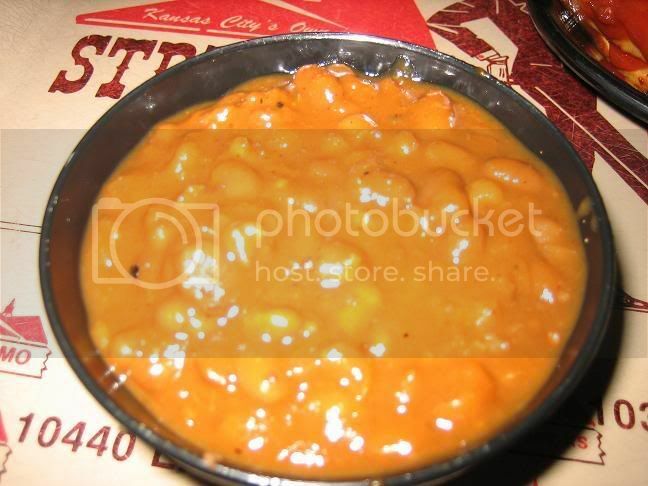 I think I would fly back to Kansas City just to eat these beans again. Overall, the trip was a success (did I mention that we got to see the Titans get a big win, too?). I know that Bryant's and Gates are just the tip of the iceberg in Kansas City, but I feel that experiencing these two places is the perfect starting point. I hope to get back sometime in the future and experience more. Most people have never heard of a white bbq sauce. 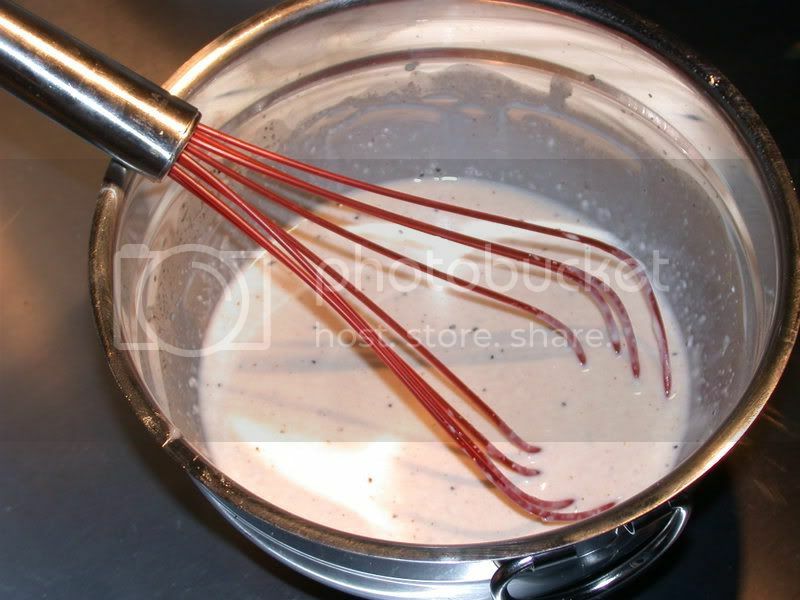 White bbq sauce became famous in Decatur, Alabama by Big Bob Gibson's BBQ. I am not sure what the true origins of this sauce are, but it is very regional to North Alabama. I first came across this sauce at the 2005 Jack Daniels World Championship Barbecue Competition (the most prestigious contest in the country). Chris Lilly, of Big Bob Gibson fame, was competing in Lynchburg that year and his team was giving out samples of their sauces. This sauce is primarily used on chicken and other poultry. I do not recommend this sauce on brisket, ribs, or pork. 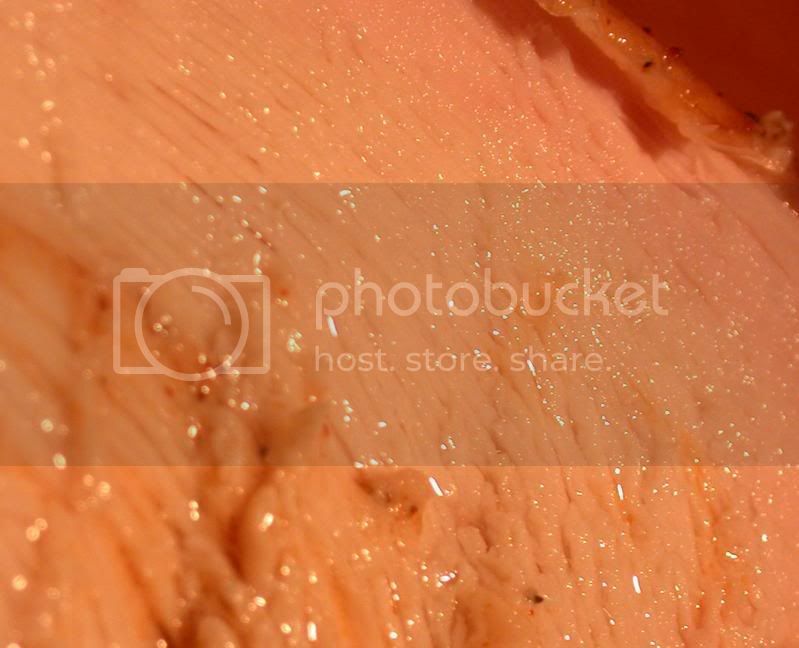 Most competition cooks out there would never think to try this sauce on chicken at a contest. When I was competing in Lawrenceburg, TN last year, the team that won the chicken category (Fire in the Hole BBQ from Huntsville, AL) used a white sauce on their chicken. The only reason I know that is because they were cooking across from us and as they were saucing their chicken, I thought that they were making cinnamon rolls on their cooker. Of course, I also thought that using a white sauce in a competition was one hell of a risk...but wouldn't you know, they got 1st place. Congrats to them, that must have been one hell of a white bbq sauce. While I probably wouldn't use this sauce in a competition, it's fun to experiment with different sauces. 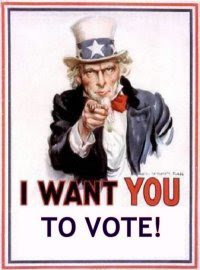 If you are a KCBS member, you need to vote in the Board of Directors (BOD) election. This is an important time for the future of competition bbq. The decisions that these elected board members make could change the face of competition bbq as we know it today. Personally, I am endorsing Rod Gray. Rod is the only candidate that is running for re-election for the BOD. Last summer I was fortunate to attend the first Rod Gray/Johnny Trigg cooking class, and I could not have been more pleased. Rod is a great instructor and he has a true passion for bbq. This is an email I received from Rod, and I wanted to post it so that everyone got a chance to read it. This is going to be brief because I value your time. It's Kansas City Barbeque Society election time and I need your vote. I also need the vote of friends I have never met, your friends that are KCBS members. Please forward this to them as your endorsement of my re-election. During my current term, many great things have happened with the KCBS. Improvements in communication to the members, especially the detail of the meeting minutes, moving the Rules Committee meeting to make it more accessible to folks from all over the country, and improvements in both contest and judging procedures. I have only missed one regular board meeting and attended by telephone only twice. In addition, I have taken on several special projects, severed as committee chairs, and am currently the Vice President of the organization. If re-elected I will work as hard these next three years as I have these past three. I am also a cook and a Certified Barbeque Judge. In 2007 alone, I visited 22 states, cooked 30 contests, logging over 17,000 miles in the process. I have met many great people traveling the country cooking and teaching barbeque. I am proud to call them all my friends. I welcome your questions and comments. If there is one thing I love, it's talking about barbeque and our competition future. Also, thank you for your support these past three years. The election opens Wednesday, January 2nd and runs for about two weeks. If you want me to represent you on the Kansas City Barbeque Society board of directors, please vote for me. With so many crucial issues on which the BOD will be making decisions, it is an important time to have our leaders be individuals who have cooked and competed - individuals who know how competitions work and who know what it's like to get inconsistent scoring. Rod has the experience and passion for the position. 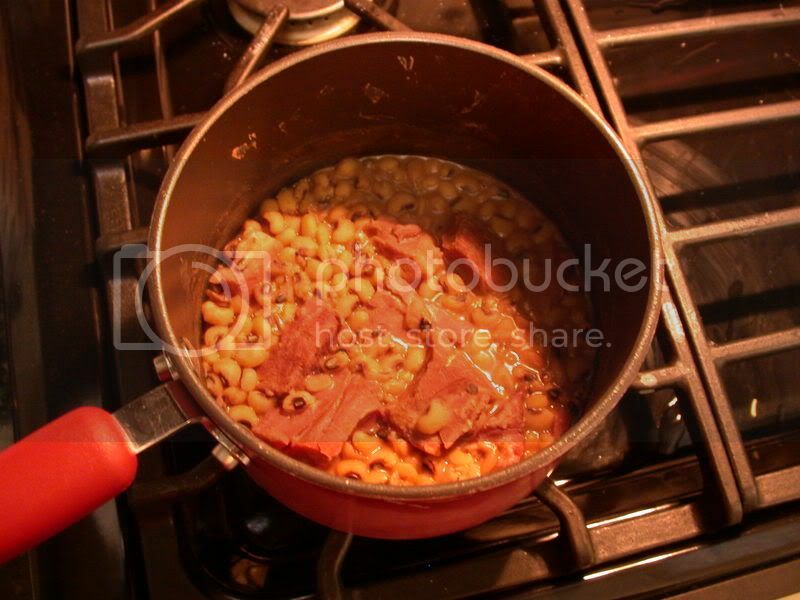 Have you had your black-eyed peas today?